One of the splashiest recent headlines in mobile payments was the partnership announced in August between Square and Starbucks (s sbux), which said it will accept payments through the Square Wallet app at its 7,000 U.S. stores. Well, the integration is now live and I tried it out to see how well the Square Wallet app works at Starbucks. For all the talk about the big partnership, the integration is quite simple and works well within the flow of the existing Square Wallet app. Users with the latest version of Square Wallet on iOS (s aapl) and Android (s goog) can now see the nearest Starbucks store in their Wallet directory and they can pay by scanning a QR code at U.S. Starbucks-operated locations. When you open the Square Wallet app, the directory highlights the nearest Starbucks location ahead of other nearby Square merchants. In the Square Wallet map, it only shows the nearest Starbucks among the local businesses, although you can view Starbucks locations in a separate list view. So you can still discover other merchants that aren’t crowded out by multiple Starbucks stores. When you get to a Starbucks, you can pay by clicking once on a “Pay Here” button on the store’s listing in the directory. Or you can pay from a stored card for that particular location. That calls up a single-use QR code that an employee can scan similar to how they scan the Starbucks app. Once the transaction is completed, you get a receipt confirming how much you paid. For now, Square Wallet users can’t pay as they normally do at Square merchants — by opening a tab and paying with their name. That’s one of the coolest parts of Square Wallet, the ability to initiate and confirm a purchase by giving your name and showing your face to an employee at the counter. That is something Square is looking at implementing at some point, though it’s unclear how they will accomplish that, whether through integration with existing terminals at Starbucks stores or through the installation of iPads loaded up with Square Register software. For the most part, the Square app doesn’t offer much functional advantage over the Starbucks app. Both help you find nearby stores and tell you what the store hours are and what each location offers. Square Wallet does a nicer job showing off menu items with bigger images but it doesn’t include nutritional info like the Starbucks app. You can also navigate to the nearest store from both apps. But if you’re looking for just one app that supports a bunch of local merchants as well Starbucks stores, Square Wallet can now handle that job. Starbucks also has its own payment app, which debuted in January of 2011 and is now used two million times each week. Many of those customers will probably stick with their Starbucks app because it is integrated with Starbucks pre-paid cards and the My Starbucks Rewards program, which is not available though the Square Wallet app. The Starbucks integration is more useful for existing Square Wallet users, who have had 200,000 small businesses to pay at but no large national chains. One of the advantages of using Square Wallet is that you don’t have to top off a pre-paid card. Each transaction is pulled from a stored debit or credit card. The partnership represents a big marketing moment for Square, which now has a major retail partner using its payment app and helping introduce it to potentially millions of customers. Starbucks has also invested $25 million in Square and is using Square to process its U.S. credit card and debit card transactions. Square and Starbucks were able to get basic integration working relatively quickly, which gives me hope that we may see more payment systems achieve interoperability. As I mentioned recently, the mobile payment landscape is so littered with various competitors that it’s going to prompt confusion and slow adoption for consumers and merchants. I am not sure why they are saying this was successful… many Square users are having problems having their QR codes read into the scanners! This is just false marketing. I won’t bother with using my phone just to drink coffee when it’s easier to pay cash. Don’t get me wrong, I have an MPOS (www.mpowa.com), but I’d like to use that somewhere else. Same here the square apps don’t work at any of the starbucks I go to. But yet the app shows the store I’m in. scanner dosent read it.. I was told the stores are not setup yet. very disappointing. just keep using Starbucks app. someday the technology will catch up with this. Here is some more proof that QR codes are not going away. Used in conjunction with a mobile payment system at one of the largest chains in the world, QR codes have the potential of leading the way in digital technology. 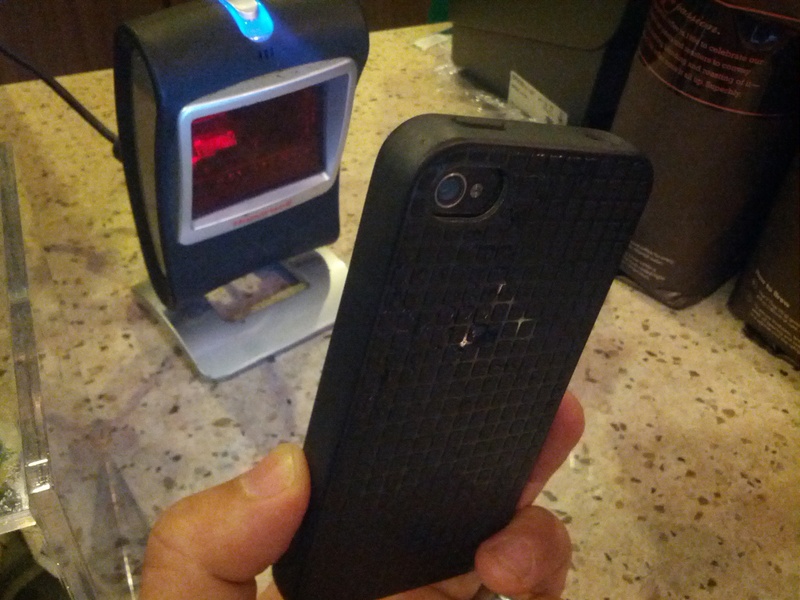 I tried the Square at Starbucks……..Their scanner had trouble reading the QR code on my screen….too much glare, maybe? i don’t know…..even the Alpha/numeric code below the QR code didn’t seem to take when the Barista typed it into her register, but since i couldn’t see her screen, i don’t know if she typed it correctly…..i ended up having to pay with regular credit card. The real big deal for retailers is when Square or other mobile payments players are ‘closing the data loop’. Getting people to check into store pre-purchase allows them to understand customer behaviour and influence purchasing behaviour, e.g. by offering merchant-targeted ads or offers. This article doesn’t mention that aspect, so I wonder whether Square and Starbucks are already collecting & sharing such data in the background. I wonder why Passbook on iOS isn’t mentioned here. Starbuck’s Passbook integration works great. When I’m near my usual Starbucks stores, it just pops up as notification and all I need to do is to swipe across (no password required) to display scannable QR code. Fast and easy.